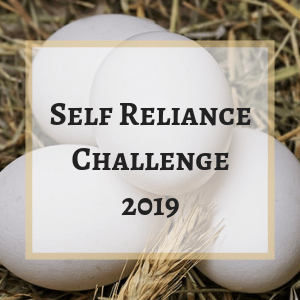 The chickens get 3 oz per bird per day, the piglet get a pound per day, the weaned lambs get half a pound per head working up to a pound per day, the milking rabbit does get a leaf a day and the milking sheep a goat can get up to two pounds per day. My rates are far under what is used in other livestock programs due to the fact that I am still increasing my growing program on this while watching health and livers in my animals. 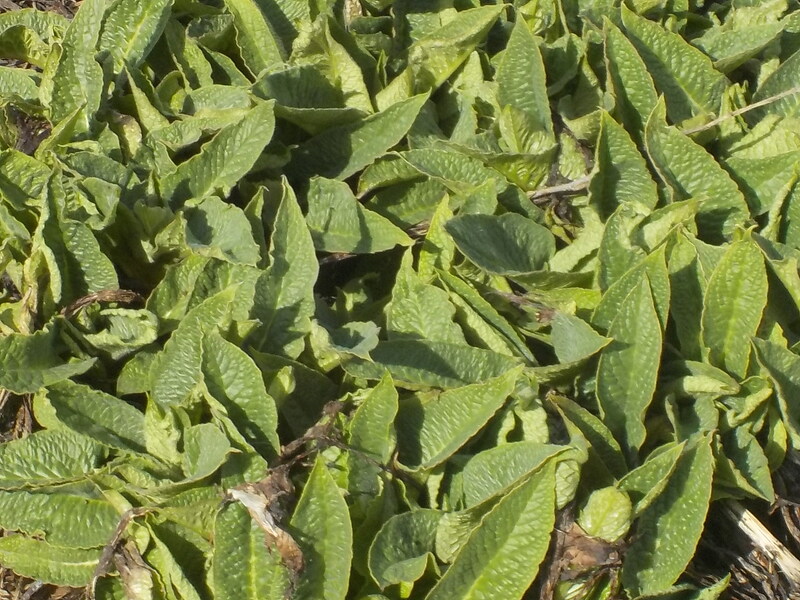 Please note that in Canada, human internal use of comfrey is not allowed legally and that you can not buy salves, lotions and so forth with comfrey for external use, you can still own and grow comfrey for permaculture uses, garden uses and if you choose for your own personal use livestock fodder. 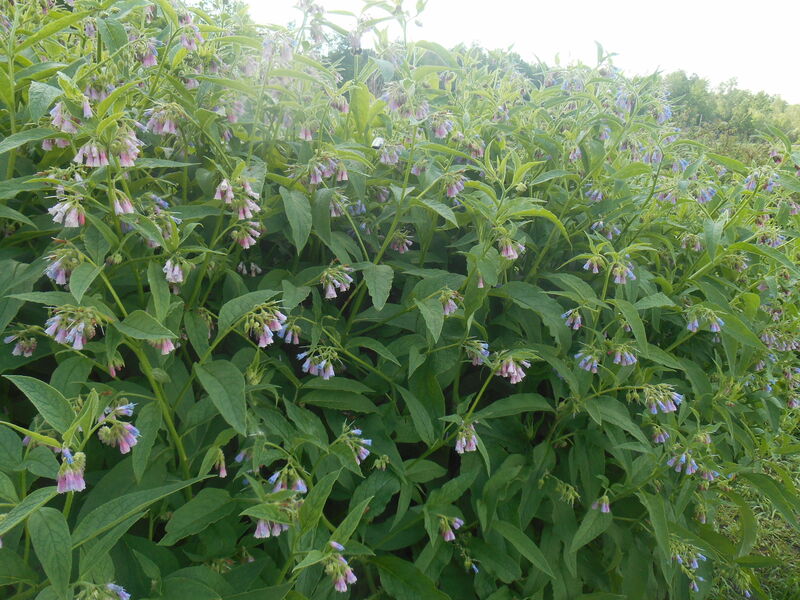 As you will figure out quickly, you can no longer find Comfrey for sale in Canada in the herb or garden centers.. However it is found often at local free plant events, church plant sales and local plant swaps most often as a bee plant. J & D > Amazingly useful! We don’t have enough area planted yet. Priority at present is for propagation and making liquid feed for the tomatoes in the greenhouses. Why is it banned for sale? Oops, didn’t see this. Thanks! Its not totally banned, its half ban.. a you can grow it and use it this way and that way legally but not this way or that way..